1/8" ID x 1/4" OD x 1/16" Wall Green LLDPE Tubing | U.S. Plastic Corp. Linear low density polyethylene tubing is ideal for applications requiring low-temperature flexibility and durability. 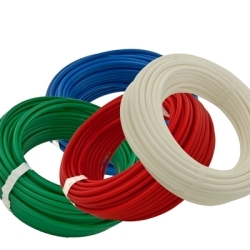 LLDPE tubing is widely used in transporting air, water and chemicals..